From our leading technology in full face integrated diving masks we bring you the Ocean Reef Aria Full Face Snorkelling Mask. Comes in different sizes that allows comfortable fit on everybodyвЂs face. Breathe comfortably and naturally through your nose and mouth. Enjoy crystal clear vision thanks to the internal face mask partition with fresh air venting that allows no fogging of the mask. Dry top system that prevents water from entering through the snorkel. Experience the widest field of vision possible with low volume of the full face mask. Self purging valve at the bottom of mask which purges any water that gets in. 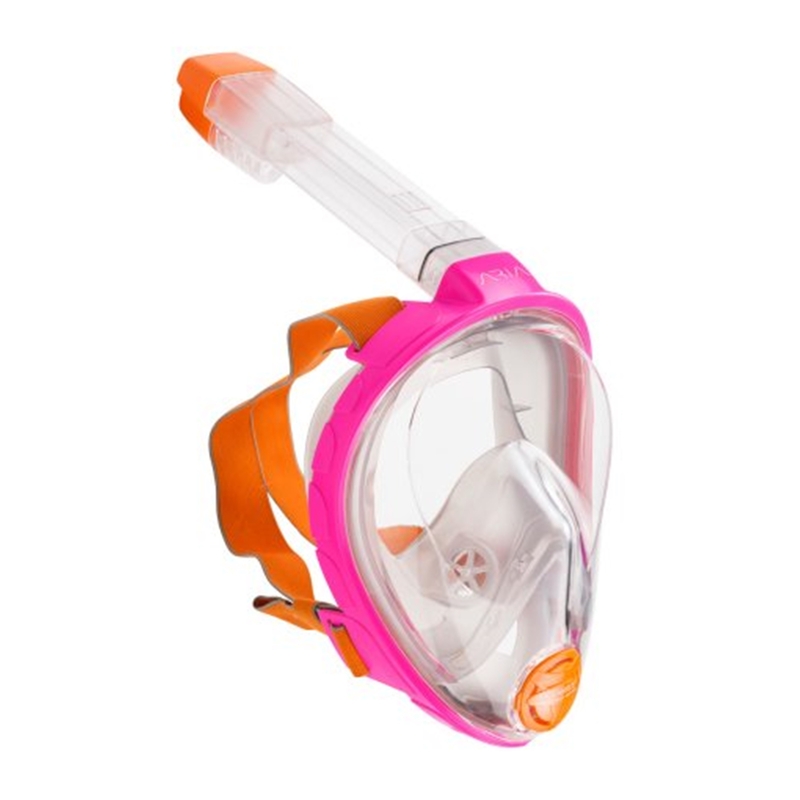 Detachable snorkel from mask for easy transportation. Made from light and durable thermoplastic.